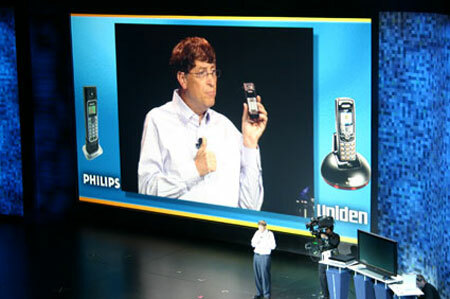 Hear the Microsoft vision of consumer technology for the next four years in Bill Gate’s 2006 Consumer Electronics Show (CES) keynote speech. Common themes in the presentation include cross device communication, all data moving to the Internet, and richer software experiences. The second half of the presentation includes a preview of the new Windows Vista operating system scheduled for release later this year. This entry was written by Brian McNitt, posted on at 3:38 pm, filed under Life. Bookmark the permalink. Follow any comments here with the RSS feed for this post. Post a comment or leave a trackback: Trackback URL. BTW, conspicuously absent from the presentation is any mention of Windows Vista security. I guess consumers don’t care about security. What are viruses and spyware when you have 3-D window management and a flashy new media player, right? Great. Will Microsoft get security right this time around?